One Friday this July, I got excited about McDonald’s. So excited that I stopped at one before work in the morning and left with French fries and a coffee. McDonald’s had just announced that it would be giving out free medium fries every Friday with a minimum purchase of $1, through the end of the year. Social media and even mainstream media went gaga over the generous offer. Free food! There’s perhaps no better a siren call for the budget-conscious millennials segment. But, McDonald’s — widely known for its marketing prowess with tactics such as Happy Meals, the Monopoly Game, and the “Monster Mac” and “McRib” sandwiches — isn’t exactly in the business of giving away free food. 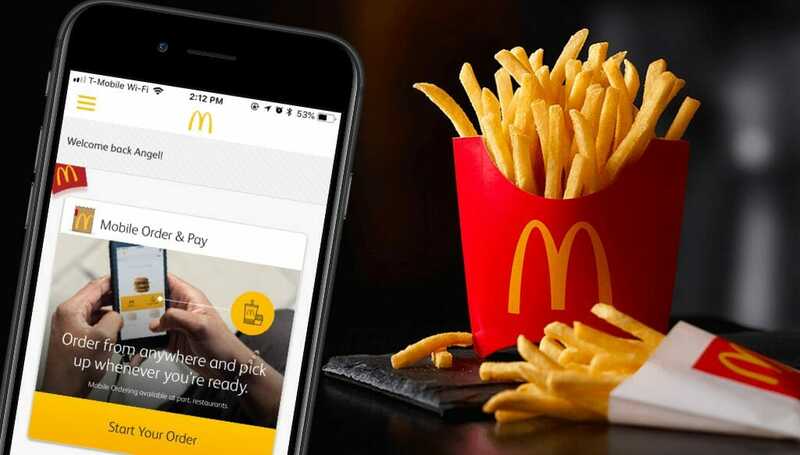 To take advantage of the free fries deal or a whole slew of other similarly rich deals, you need to use the McDonald’s mobile app. If there’s anything millennials like better than free food, it’s mobile apps. That’s right, you can’t get this free food with coupon clippings or mailers. You have to use the mobile app, where a couple screen taps and swipes will get you a massive list of such deals, along with convenient mobile ordering functionality. 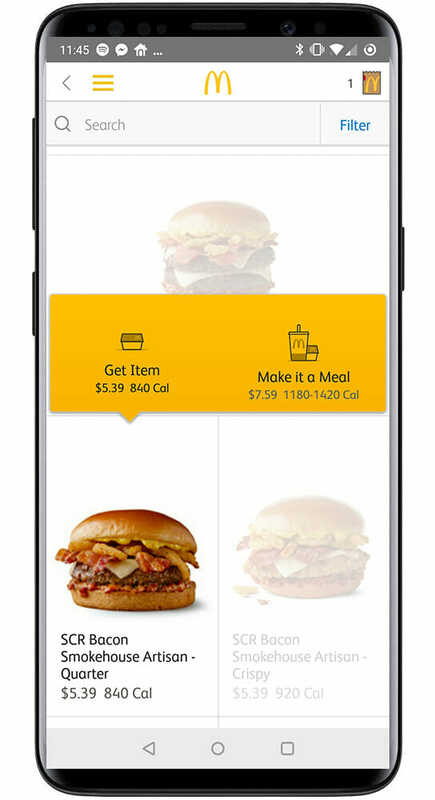 The McDonald’s mobile app uses deals to entice and mobile ordering to fulfill. 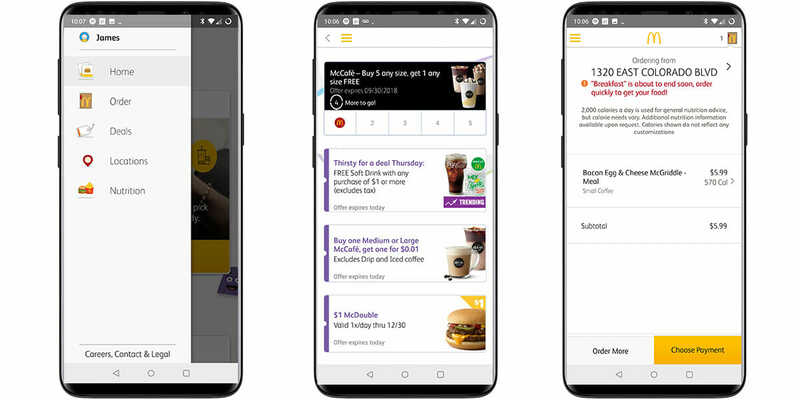 McDonald’s has had a mobile app for a couple years now, but only recently has the company began an enormous effort to drive mobile adoption vis a vis these jaw-droppingly attractive deals. McDonald’s believes that encouraging repeat usage (through repeat offers like the free fries offer, which is good through the end of the year) will encourage habit formation, which can engender customer loyalty. While it may be too early to say the customer loyalty goal will be met, it does appear the strategy is indeed driving mobile adoption. Jefferies analyst Andy Barish estimates that the McDonald’s mobile app has had a 20-40% increase in active users in just the past few months. Mobile loyalty is brewing out of Seattle, too. One of McDonald’s’ biggest competitors is perhaps even further along than McDonald’s when it comes to mobile experience. The Starbucks app has an estimated 23 million users in the US alone. 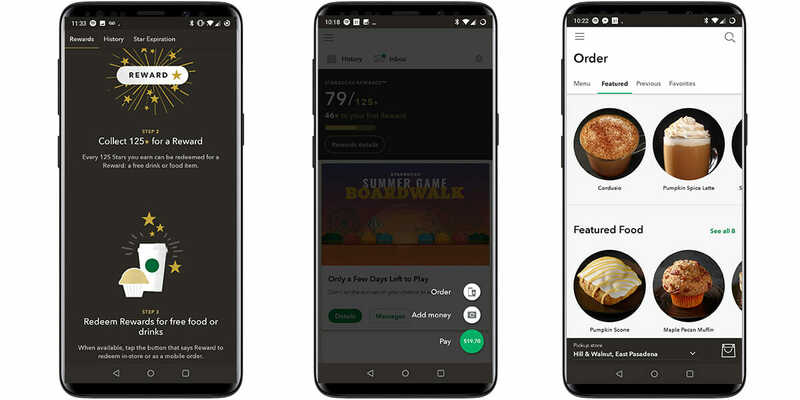 You can’t go into a Starbucks without seeing loyal customer after loyal customer scanning their mobile app-based barcode to make a payment or pick up an order. But unlike McDonald’s, the Starbucks app offers users several other major features that have helped it become the phenomenon it currently is. 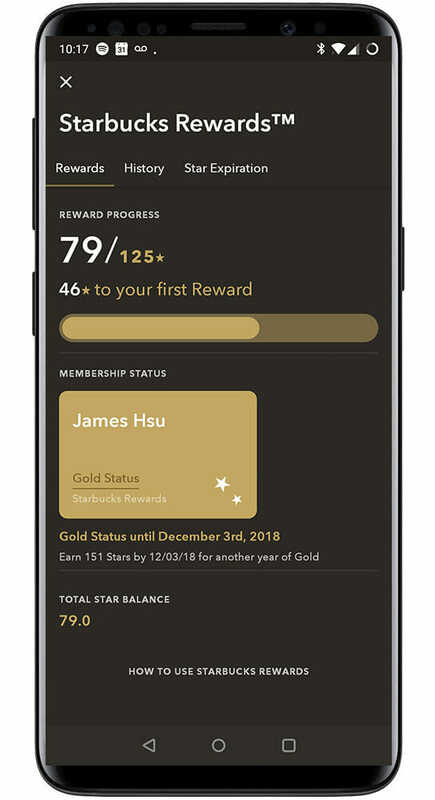 The Starbucks mobile app offers mobile ordering, mobile payments, and a gamification-based loyalty program. Mobile apps drive extremely high levels of engagement. It’s no wonder that the average American spends more than four hours per day on their smartphone, with more than 90% of that time spent using mobile apps. Restaurant operators believe they can tap this mobile fascination and turn it into long term customer loyalty and repeat visits. Additionally, mobile apps enable functionality that is huge valuable to fast food restaurants, whose profitability is directly related to how many customers they’re able to serve in a 24-hour period. With mobile ordering, your customers no longer need to queue in agony behind an indecisive customer whose careful consideration of the menu can single-handedly bringing order flow to a standstill. Increases the lead time allowed for order preparation (because the customer still has to physical arrive at the selected McDonald’s location for pickup), which enables smoother operations. Both of these effects drive top and bottom line growth in fast food restaurants. Also, consider that mobile ordering makes it much easier to offer upsell or cross-sell opportunities based on actual data. It’s much easier to upsell/cross-sell when your app does it automatically. Sure, you could wait for your tummy to grumble to know when it’s time to eat. Or, you could have a McDonald’s push notification suggest a Bacon Smokehouse Burger for lunch, right when it knows you’re most likely to be ordering lunch. Top of mind, top of wallet. Push notifications can increase the likelihood that your restaurant’s patrons think of you when it’s time to eat. Another common use case for push notifications is to let users know about new or promo items on your menu. Why wait for a customer to learn about new menu items in-store, when that knowledge could be reason enough for a visit? If done right, push notifications can be a powerful way to get customers to try different or new menu items. Gamification is one of the biggest trends in mobile app design, and restaurant loyalty apps are one of the most fitting use cases. By adding game-like mechanics to their mobile apps, restaurants can make it fun and even exciting to come back again and again. There’s something about leveling up to “gold status” that is rewarding in itself, never mind the free food and drinks headed your way. For other restaurants, the race to “catch up” is just getting started. The good news is that — besides McDonald’s, Starbucks, and a handful of other major players in the space — the majority of restaurant businesses are very much in the same situation. Many are now recognizing the growth potential associated with mobile apps and are beginning to make plans to offer better and more engaging mobile experiences. As a top-rated mobile app development company with an emphasis on the food & drink category, CitrusBits has created loyalty apps for some of the world’s biggest restaurant brands and social media influencers. When it comes to restaurant mobile strategy, Lee believes that the name of the game is driving engagement and creating compelling value for consumers. “In the restaurant business, it’s critical to engage your consumers even when they aren’t at your restaurant. Mobile apps are the single best way to do this. If you create compelling value – time savings, monetary savings, or a fun experience – and do it in a way that is really engaging, you’ll get the ROI you’re hoping for,” Lee explains.